TECHT's Hush Pro Series Bolt for the Planet Eclipse LV1 and Etek5 marker series utilizes our "Even-Flow" air channel technology. This "Even-Flow" design allows the Hush Bolt to obtain optimal efficiency, while quieting the traditional sound signature associated with the stock bolt. 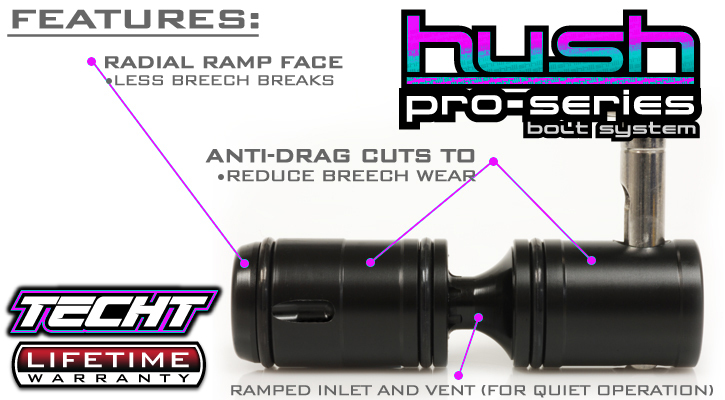 The Hush Bolt is not only quieter, it is lighter and smoother! The HUSH Bolt is made from 900 SP Series Delrin which makes it cycle smoother and has lower wear and friction properties. 900 SP Series Delrin makes the Hush Bolt smoother than ever! The HUSH Bolt will exhibit much better wear resistance than standard delrin. This means your bolt will maintain optimal performance much longer than other bolts, and won't scratch as easily. 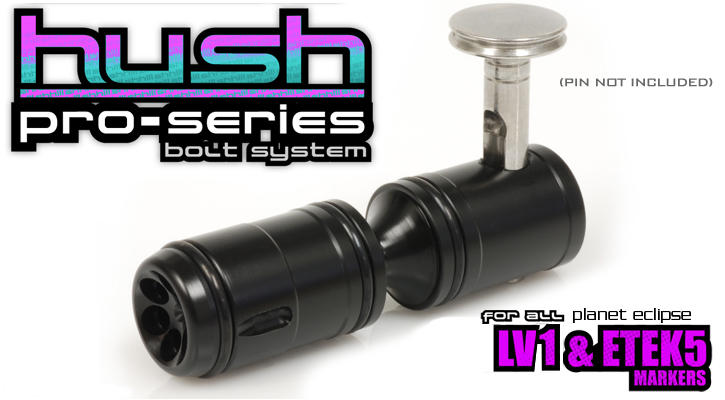 The Hush Bolt also pushes the limits of weight reduction while not compromising the velocity limits of the stock rammer. The Hush Bolt weighs in at 16.3 grams. Our anti-friction cut style allows for no waste of air in the detent portion of the bolt. This means players are getting the lightest, quietest, most efficient, & friction free bolt on the market and all at the same price as older Hush Bolt designs. 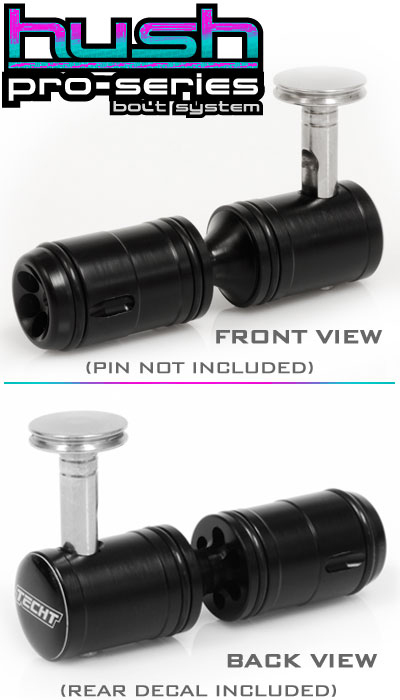 Quiet Operation- the Hush Bolt was designed to have a less abrupt "pop" or "crack" that has traditionally been associated with the stock bolt. The TechT Hush Bolt has a quieter, more muffled sound signature. This means your field position is given away less, and communication on the field becomes easier than ever before.